This is the first Mike Francis release on Sony's Civitas label. This should benefit his fans outside Italy, as the Sony presence is world-wide. A particular feature of the Sony Music web site, compared with those of other record labels, is it's international accessibility. The "World of Sony Music" menu makes it possible to start from the general home page and navigate directly to the relevant pages of the country or market of interest. There is also a "Globetrotter" facility to purchase CDs from other markets, though regrettably this service is available only to United States residents. Currently, the new album is not listed on the Globetrotter page. The Sony label is particularly strong in the Latin American and Spanish markets. Hopefully such a globallyy-savvy company as Sony will be aware of the potential of Mike Francis music there. Hardly a year goes by without a new compilation of hits from the 80's featuring the biggest-selling Mike Francis song ever, Survivor. Now, All Rooms With A View offers a fresh interpretation of this favourite in a completely new recording. One of the loudest sounds of 1997 was an auditorium full of Filipinos screaming "Let Me In, Let Me In, Let Me In...". That Hollywood Palladium audience was rewarded with an unforgettable encore from Mike Francis. There's a new performance of Let Me In on the new album that is definitely something to shout about. I'm Missing You received possibly its first public performance in California 1997 and appeared in Italian on the 1998 album Misteria. This is an English-language version, but to call it merely "a translation" doesn't do it justice. Room in your Heart has been showcased on this site for a while, and you must have been itching to hear the rest of it! It's another composition credit for Richard Darbyshire, who has served us well in the past. His name has appeared on the Mike Francis albums Francesco Innamorato and A Different Air. Harvest for the World has already been recorded by Mike Francis... but in Italian. His treatment of the Isley Brothers' 1976 hit featured on the album Misteria. Now here his own unmistakeable recording of the English original. Had his origins been rather different, Mike Francis would certainly have aspired to recording for Motown or Philadelphia - the soul is unmistakeable in his music. But Mike Francis is not "Tamla with Mozzarella". There is a fresh and distinctive spaciousness around all his work. ...the perfect marriage of the English language and the Mediterranean spirit! Misteria was released by EMI Italia in April 1998. 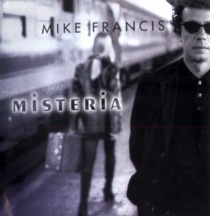 Misteria is an Italian-language release. An English-language album was released in December 1999. If you are trying to get hold of Misteria outside Italy, you might try one of the Internet CD Retailers. One such is NetMusic.Italy, who have confirmed that they are able to to supply this new CD. Mike Francis is included in their alphabetical artist listings. The Web Site is mostly written in Italian. However, they respond well to e-mails in English. For security, orders by credit card should be FAXed to them on +39 0125 59435. Anyone who was at the California concerts and is able to get a copy of the new album ought to recognise some tracks instantly. Misteria and Dentro gli occhi miei were both performed in November - probably for the first time in public (?). I suspect that Mi mancherai was also performed in an English version. "What count to me are seconds. Short, yet so intense that you remember them forever. And so important as to infuse an energy which turns into a strong desire to live, hoping to experience those emotions again." "I wrote MISTERIA after having seen some scenes of the film 'Tutta una vita'. But Misteria is not only a woman. Above all it's about the chances that pass you by, or behind, or in front, that you notice or not, chances which last a second and then throw you back in the wave with the others, depriving you of the courage to stay there, in that place, in that moment, forever." 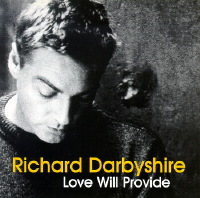 Richard Darbyshire, whose name appeared on a couple of Mike Francis albums, A Different Air and Francesko Innamorato and their associated singles has a long and successful musical history. Once a member of Living in a Box and now a solo performer, Richard's most recent album is Love Will Provide. There's a Web Site devoted to his work which includes an illustrated discography. The Discographies have been completely re-written and revised and there are many new images in the Illustrated versions. The detailed artistic credits, previously contained in scattered pages, one per album, have been incorporated into the main Illustrated Discography. While this has swelled the size of the document, download times for the text should actually be reduced because the information is now in a single file rather than several. As further images are added, the Illustrated Discography is growing into a hefty download. 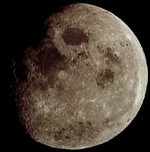 To make use of the new version, the original images need not be re-loaded. I recommend downloading the Discography with Images disabled and then downloading only the new images separately. By storing both the file and the images in the same folder or directory on your computer, the Discography may then be viewed off-line. As always, the Text-Only versions remain for speedier access. "I Ragazzi Italiani" in Spanish? As you know by now, recent playlists on the Web pages of Argentine satellite radio network Canal 6 - Latino list Spanish-language song titles by the Italian group "I Ragazzi Italiani". This group has recorded Mike Francis songs in the past, and these playlists suggested the exciting possibility that there may be Spanish-language versions of those Mike Francis songs. There is no definitive information yet, but several readers have observed that song titles tend to get translated into Spanish when track listings are printed for the Spanish market, although the songs on the record remain the same. The most recent album by I Ragazzi Italiani, E' tempo... has been re-released in a new, 1998 version which includes an additional track, "Chiamando amando". From a Mike Francis point-of-view, however, either version will do, as Ti giuro continues to be the only Mike Francis song on this album. It was on a crisp, sunny April afternoon in 1984 that the author of this site found himself in Bolzano, listening to a countdown of the Charts on Rete 105. A very nice station jingle was played, sung by a guy with a great voice, but the jingle was immediately followed by a hit record on which the jingle was obviously based. That hit record was Survivor and the author had just discovered Mike Francis! The jingle was a station I.D. 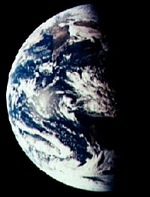 recorded by Mike Francis to Survivor's melody. Thinking that the singer might be American, probably a black American (!!) (Dennis Edwards was in the same Chart countdown and Kashif was very big at the time), the author foolishly waited until back in Britain before looking for Mike Francis records. Nothing! By chance, several years later, "Flashes of Life" was found in a German CD store, and in Switzerland three Mike Francis albums were found - the Dum Dum releases. The collection got off the ground. Then the Internet came along, and a neat idea of putting what little information the author had up on a Web Page and seeing if anyone would find it and be able to provide more. What happened exceeded even the wildest expectations, and the pages you can see here today are the product of information sent in by friendly and enthusiastic people around the world. They are too numerous to credit individually, and there is always the danger that someone would get left out, but Yves from Belgium deserves special mention for being one of the first to get in touch and helping to put the "meat" onto the bones of the original site. One day, a little e-mail popped into my In Box, saying "Thanks for putting all that information about be. MF" I assumed at first it was a practical joke, but it really was the man himself. I enjoyed a long correspondence, and finally met him in San Francisco, of all places, at a concert that the website had helped to bring about. The name Wohnort came about because when e-mail was invented and I was trying to think of an address for myself, I wanted one that would last me forever. I saw that some people were including their age, like Mike28. What would their e-mail be next year? Other were based on their street address. What would happen if they moved? So I chose "Domicile". Great! It will last forever! Bad news... it was already taken. So, because I'm a German-speaker, I instead chose "Wohnort", which translates as "place of residence". And so it became. And when I founded a company 15 years later, what else could it be called? Wohnort, the company with an accidental name. This is an unofficial site, not connected with any record or music company. Where mention is made of Internet retailers, this is for information only and is not "endorsement" as such. Having said that, the author has never had any problems with any of the retailers mentioned here from time to time. Because of copyright laws, and the desire to see Mike Francis' great work rewarded by sales, requests for recordings of Mike Francis records cannot be fulfilled. Thanks to everyone who has contributed. Please keep the information and comments coming in. Most of all, thanks to Mike Francis for giving us all something to sing about!